These incredible large-scale artworks look to highlight the mass scale of plastic entering the world’s oceans every minute. According to reports, it’s estimated one truckload of plastic enters the ocean every 60 seconds – and the real total may be more. So, photographer Ben Von Wong took it upon himself to showcase this dump in the most visual way possible. 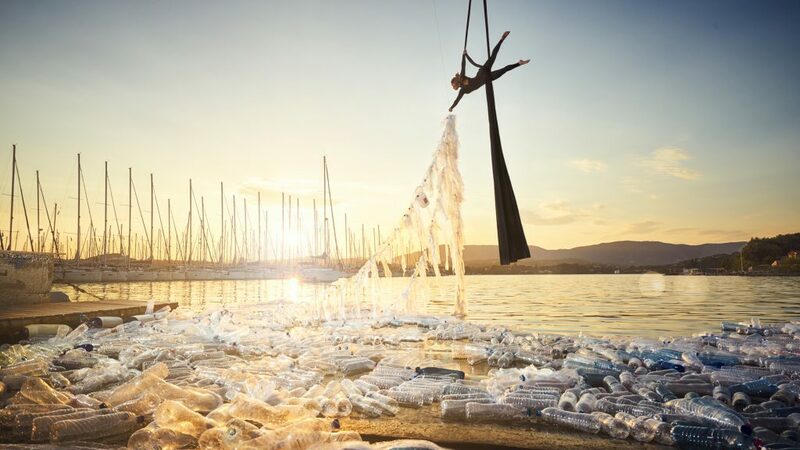 Working with aerial performer Katerina Soldatou, Ben decided to dangle the artist above layers and layers of plastic bottles. 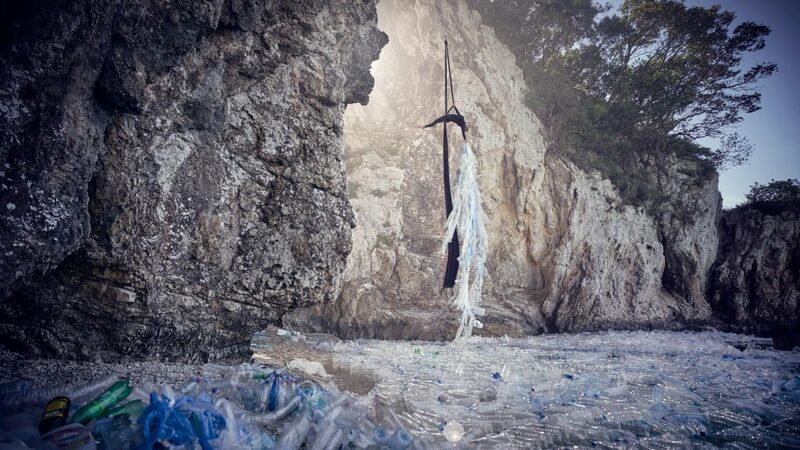 The flow of plastic beneath Katerina can be seen filling the likes of the shorelines and caves, providing a great sense of scale – and the problem. Ben said: “Katerina and I were inspired to represent the statistic that every 60 seconds, a truckload of plastic enters the ocean. “We wanted to show how impossible it was for a single person to remove plastics alone, unless plastic production stopped flowing into the water. Ben has worked on a number of similar projects globally – such as documenting the amount of electronic waste one person produces in a lifetime and converting it into art. 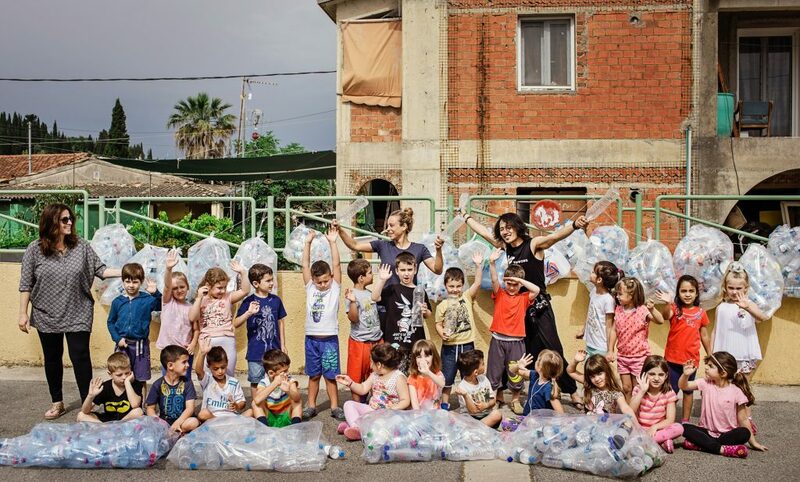 For this project, he travelled to Corfu, Greece, in May, where he and Katerina teamed up with Greenpeace Greece and grassroots groups like Garbage Art Corfu. 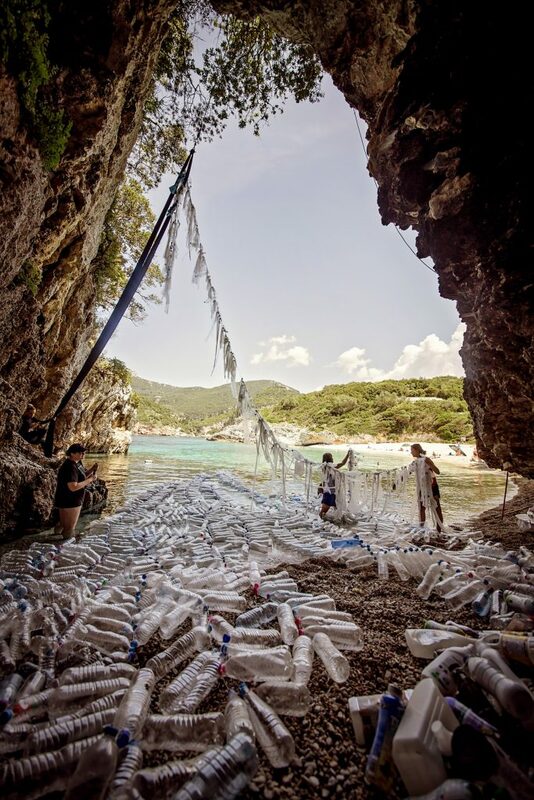 Working with schools and local individuals, the team spent days tying the plastics together with old fishing line that was scavenged from the dumps of the Gouvia Marina. In the marina, Ben and volunteers were given access to a boat crane, which enabled them to literally test the waters for how their created bundle plastic would behave. Another logistical issue, Ben said, was transporting this plastic across the island. Luckily, a number of local volunteers allowed the photographer to transport his creations using their trucks and boats. The San Francisco resident added: “I believe that this plastic mess we’re creating today is something that generations down the line are going to have to deal with.